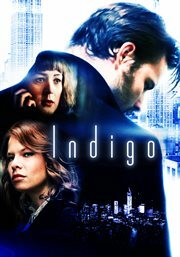 Title Indigo [Hoopla electronic resource]. Imprint [United States] : Osiris Entertainment : Made available through hoopla, 2014. Description 1 online resource (1 video file (ca. 92 min.)) : sd., col. Credits Directed by John Hawthorne Smith. Cast Skyler Pinkerton, Diana Pelevine, Madeline James, Nicholas Brendon, Taso Mikroulis, Lance R. Marshall. Summary Eli Casey, an up-and-coming photographer and recovering heroin addict, implodes after his son is kidnapped. He separates from his wife. He stops working. He gives up. As a favor to his agent, Eli begrudgingly agrees to shoot a wedding. While there, he takes a picture of a suspicious couple who offer to bribe him in return for deleting certain photos. Eli refuses. The next day, Eli discovers that the flower girl at the wedding disappeared and Eli sets out to conquer his demons and save the girl.